#1 PAUL STANLEY’s Face The Music – sane if paranoid, succinct in vague, hilarious if fleeting, honest if deluded like all visionaries. Top marks for the Starchild for bringing some levity to the KISS discussion and offering what seems a heartfelt, reflective and sincere coda to the KISStory. # 2 ACE FREHELY’s No Regrets – redeeming if sad, affirming if upsetting, telling if unfathomable, rollicking if scattered. High praise for the Spaceman for a ghost written snapshot as close to reality as Ace can get. 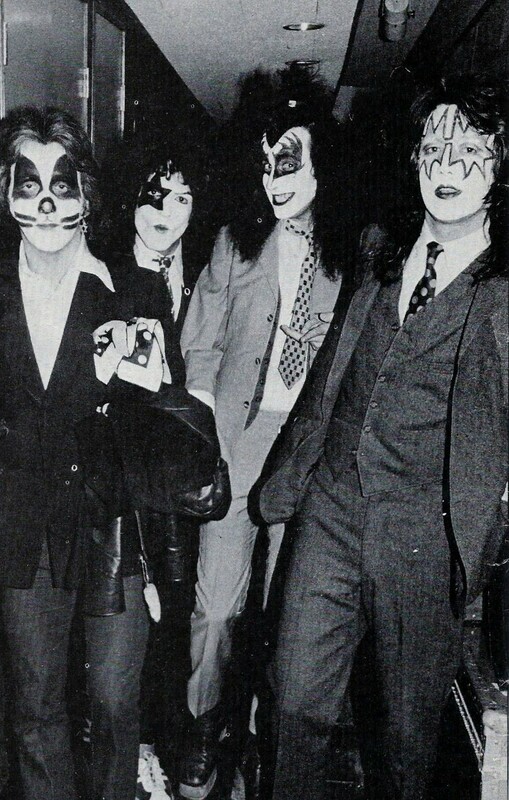 # 3 PETER CRISS’s Make Up To Break Up – brutal if honest, inconsolable if betrayed, troubled if inspired and at odds against all he encounters, the Napolean of rock, ever-exiled. The Catman gets kudos for letting it all fly but offers little clarity on why he continues his crestfallen refrain. # 4 GENE SIMMONS’s KISS and Make Up – Detailed if dull, strident if absurd, sober if dizzy-ing, self-absorbed if charitable … the many shades of the Man of 1,000 Faces. The Demon jumped the gun, and the shark …always first to the table as with this book — tender though it gets, it may be the longest PR statement in prose history. ….whose next? Tommy? Bruce? Vinnie? I’m ready for Tommys!